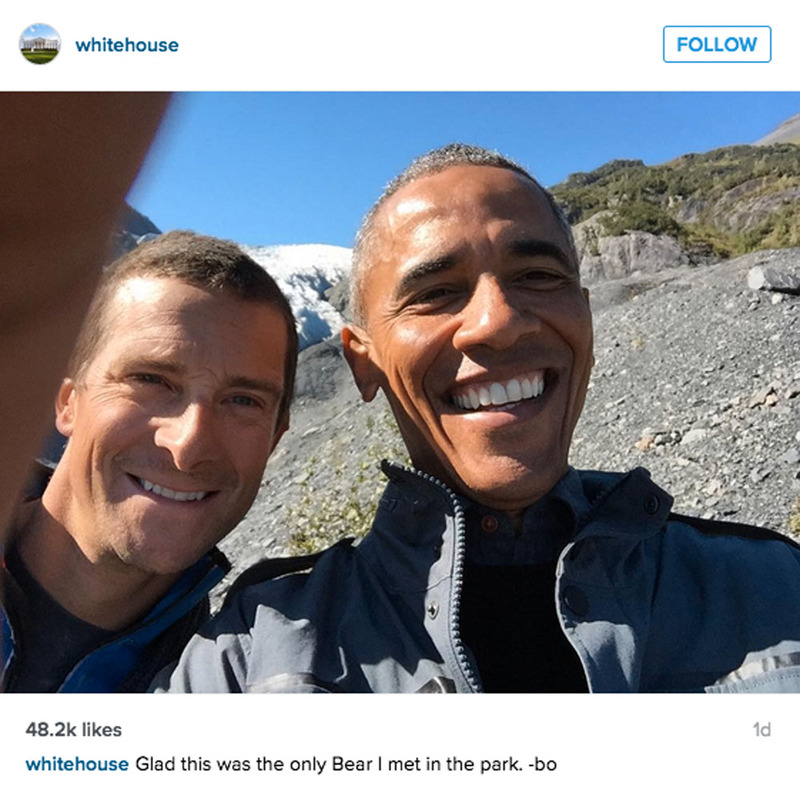 President Obama has been touring around Alaska with wilderness man Bear Grylls and the pair have been taking selfies. The 54-year-old Commander in Chief is on a three-day trip of the most northerly state in the US to highlight the effects of global warming. Obama bumped in to survivalist Grylls on the second day of his trip in the small town of Kotzebue and the pair hiked up the Kenai Mountains up to the the Exit Glacier, where they took a cheeky selfie. 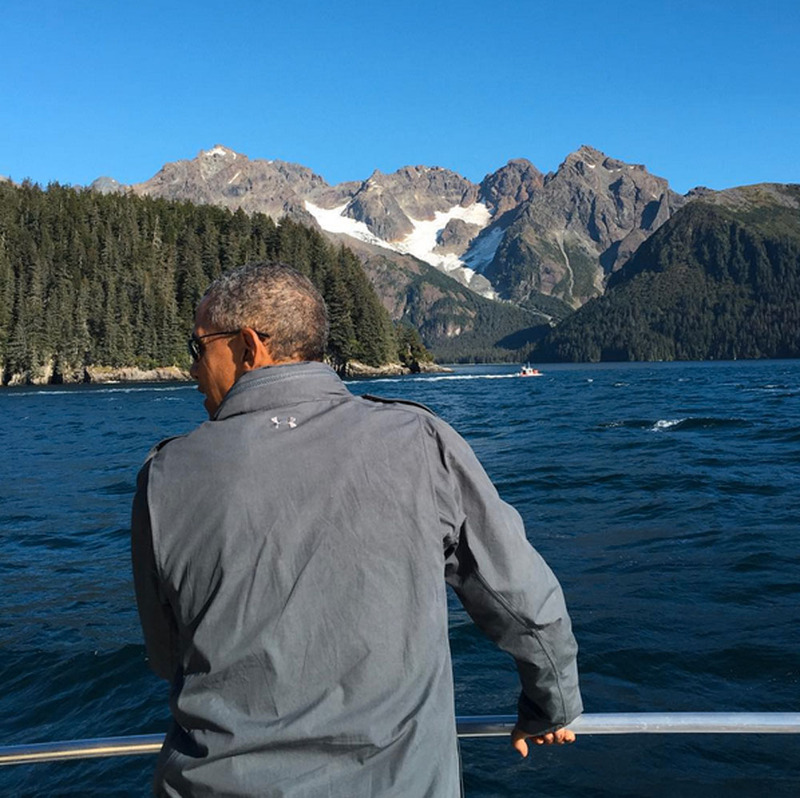 As well as climbing mountains with Bear, Obama has been visiting Alaska’s national parks and even doing a bit of whale watching. The aim of Obama’s excursion is to draw attention to the alarming effects of global warming on the people of Alaska and the world. The President, who has got just over 500 days left in The White House, met with Alaskans who took him fishing and performed a traditional Alaskan dance with local children. According to the President’s travel blog on Medium.com, Alaska’s glaciers are losing 75 gigatons (75 billion tons) of ice each year. No word on whether or not Obama will star in his own episode of Running Wild or POTUS will appear in a one-off Grylls special, but either way we’re definitely tuning in.